Disney World’s Hollywood Studios was opened in 1989 to serve as both a theme park and a fully operationally production studio. Today, the area encompasses 135 acres filled with interesting and exciting attractions themed around the heyday of Hollywood’s film industry. Between the rides, walking around the park, and standing in lines under the warm Florida sunshine, you will inevitably work up a big appetite. But with all of the various Quick Service and Table Service restaurants to choose from, it’s not an easy task deciding where to dine. 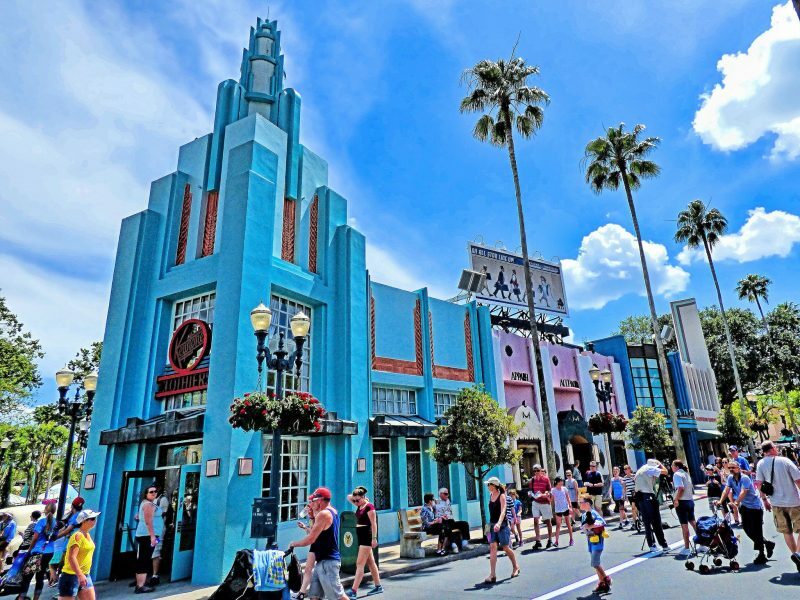 So here are is a list of the best places to eat in Hollywood Studios to help you decide. In order to make the best dining choice for you and your fellow travelers, there are a few things you should be aware of. Unlike some of the other Disney World theme parks, the eateries at Hollywood Studios tend to be a bit more subdued. That said, there are some really great options here! You can find both Table Service and Quick Service establishments with menu items to appeal to just about anyone’s taste palette. Hollywood Studios has 26 unique dining options – 10 of which are considered Quick Service and 5 Table Service. The others are food stands and carts. Let’s take a look at each of these restaurants to see which ones may appeal to you. ABC Commissary is located right on Commissary Lane next to the Sci-fi Dine-In Theater. Thanks to its diverse menu offerings – ranging from salads to seafood – this Quick Service restaurant is a very popular dining spot. While the theming is minimal, the food is the real star of the show. We have always found the food to be consistently good. As for the atmosphere, ABC Commissary is casual, well-air-conditioned, and there are plenty of tv’s to keep you entertained and relaxed while you enjoy your food. Recommendation: Some of our favorite menu offerings include the 1/3 lb Angus bacon cheeseburger, Mediterranean salad with chicken, or the meatless vegan burger. Unlike ABC Commissary, Backlot Express is a good spot to check out if you like a Disney dining experience with a good theme. The restaurant is loaded with charming memorabilia from the Golden Age of Hollywood which gives the interior a nostalgic feel. Backlot Express offers a wide variety of food choices at very affordable prices. Most entrees are in the $10-range, so you can feel good about not spending an arm and a leg at this spot. We think this restaurant is a great choice for an affordable and delicious lunch in a fun and relaxing environment. What more can you want? Recommendation: Try the Dark Side Chicken and Waffles, the Darth Vader-shaped waffles topped with chicken nuggets and – of course – maple syrup. Catalina Eddie’s is the place to head to on a nice day. This restaurant only offers outdoor seating so it’s not a location you should consider if the weather is iffy or scorching hot. Entrees run in the $15 range, so it’s on the pricier side on Quick Service dining options. Catalina Eddie’s is a good spot for pizza lovers, but other than salads and desserts, there aren’t a lot of other choices. We think there are better options on our list to suit everyone in your family. However, if outdoor seating and pizza appeal to everyone in your group, then this may be a good choice. Recommendation: If the pizza and salads don’t fill you up, try the Chocolate Mousse dessert. Yum! The Dockside Diner is a decent option for a quick bite. This outdoor seating venue does have some adventurous menu items, but we feel the long lines and high prices for what you get aren’t really worth it with so many other great options out there. Dockside Diner is more like an upscale food truck than a dining destination, so keep that in mind when you are choosing your Hollywood Studios lunch spot. Recommendation: If you are in a daring mood, try the Buffalo Chicken Mac & Cheese entree. Fairfax Fare is among the most budget-friendly dining spots in the park. They also offer plenty of interesting food choices, ranging from vegan chili rice bowls to Latin-inspired pulled pork sandwiches. On the downside, the limited seating does become a problem during the lunchtime rush. Our advice to you is plan on eating before or after the 12-1:30 crowd. Recommendation: It’s tough to choose a favorite with so many great choices, but the Fajita Combo Platter and The Empanadas Platter are notable standouts. KRNR The Rock Station is a food truck dining spot located right next to Rock “N” Roller Coaster. If you are just looking for a quick bite to grab and go, this spot is a good choice. Standard fare includes a few hot dog options and frozen treats – nothing fancy (or healthy!). Simple, fast, and cheap is the name of the game at KRNR The Rock Station. Recommendation: Try the Chili-Cheese All-Beef Hot Dog with Chips and a Coca-Cola® Float to wash it down. PizzeRizzo is named in honor of the classic Muppet character “Rizzo the Rat.” It’s one of the newest restaurants at Hollywood Studios and a great choice for Italian food lovers. Everything on the menu is quite affordable and offers a variety of Italian staples like meatball subs, pizza, and an antipasto salad. It’s hard to take exception with those choices! One negative is that the restaurant is on the small side, so expect crowds. Recommendation: The classic cheese pizza here is delicious and a cannoli for dessert will put you in a good mood as you get back to the Hollywood Studios rides. This is not the place to head to if you are in search of a relaxing spot to eat. However, Rosie’s All American Café is a good choice if you are on your way to the Beauty and the Beast show and want to bring some food with you (yes, you can do that). It’s admittedly pricey for the standard park food you receive, but they do serve some tasty all-American classics like burgers, chicken nuggets, and other standard fares. Recommendation: If you are feeling adventurous, try The Fried Green Tomato sandwich. If not, the 1/3 lb Fresh Angus Onion Straw Cheddar Cheeseburger is a great option. Then complete your meal with the strawberry shortcake dessert! The Trolley Car Café is a great spot to get your caffeine fix or grab a tasty and refreshing beverage on-the-go. Otherwise, don’t plan on much in the way of food items here. They do have some pasties – along with a wide variety of teas and specialty drinks – but that’s about it. The atmosphere is pretty unique and it’s definitely a place to check out…just not for lunch. Recommendation: The Strawberries & Crème Frappuccino is to die for! As of June 2018, Woody’s Lunch Box is now open at the new Toy Story Land. We have yet to try it, but the menu looks great! It features plenty of mouth-watering entrees, including BBQ Brisket Melt, grilled cheese, turkey sandwiches, soups, and more. Really looking forward to checking this one out! Our Favorite Quick Service Restaurant at Hollywood Studios? Additional Tips: Some Quick Service restaurants get very crowded around lunchtime. We suggest going on the early side (or after 2 pm if you can wait that long). Also, remember that many restaurants offer less expensive kid’s menus for your children. For those of you who are gluten-free or have other food allergy considerations, ask your server or cashier about the ingredients before you order. Disney is very good about accommodating their guests and being fully transparent about the ingredients. There are 5 Table Service restaurants to choose from at Disney’s Hollywood Studios. Remember that Table Service restaurants – unlike Quick Service restaurants – do take reservations well in advance. It’s always a good idea to secure your spot as soon as possible in order to guarantee your seating. See our Disney World Planning Timeline page for guidance as to when you can make your ADRs (Advance Dining Reservations). When it was first constructed, Hollywood Studios’ popular Italian eatery Mama Melrose’s Ristorante Italiano was slated to become a Muppets themed restaurant. That idea never came to fruition because Jim Henson passed away and Disney was unable to acquire rights to the Muppets as originally planned. Instead, Disney chose to create Mama Melrose, named after a girl from Sicily who came to Hollywood to become an actress but used her family recipes to open an Italian restaurant instead. As far as the food goes, Mama Melrose serves traditional Italian fare like Chicken alla Parmagiana, saltimbocca, seafood, and tiramisu. The cuisine will here will definitely fill your stomach if you have worked up a big appetite. Much of the popularity of this restaurant comes from the fact its part of the Fantasmic dinner package (you receive good seating for the show if you buy the dinner package). So if you plan on doing Fantasmic, we certainly recommend eating at Mama Melrose in order to get the most value. If Fantastic isn’t in the cards, then skip Mama Melrose and wait to eat your Italian food in Epcot. Verdict: Mama Melrose is a good choice for Italian food lovers, but there is nothing overly memorable about the restaurant. It’s a pass for us unless you are doing the Fantasmic show. In that case, we recommend the package with a Mama Melrose dinner. Hollywood & Vine is Hollywood Studios’ character dining option. In fact, this is Disney World’s only dining spot that mixes up its themes on a regular basis. For example, you can expect to find Star Wars-themed character meals during Star Wars weekend, Mickey dressed in vampire attire during Halloween, and Goofy dressed as Santa around Christmas. If you are looking for a unique Disney dining experience, this is your spot! The food itself is served buffet style. You can find interesting offerings such as herb crusted salmon and lobster & shrimp macaroni. Overall, the food is very good, although very similar to what you would find at the Chef Mickey character buffet. Verdict: Like Mama Melrose, Hollywood & Vine offers a Fantasmic dinner package. If the idea of character dining appeals to you – and you plan on seeing Fantasmic – then Hollywood and Vine is a perfect choice. If Fantastic and Italian dinner sounds better, the stick with Mama Melrose. And if character dining isn’t your thing, definitely skip Hollywood & Vine. Looking for fine dining at its best? The Hollywood Brown Derby is one of Disney’s best options. Simply put, the food here is phenomenal! Seafood lovers will enjoy the Lobster Cioppono, meat eaters will relish in the Filet of Beef, chicken connoisseur will fancy the Bell & Evans Chicken Breast, and non-meat eaters will delight in the Vegetarian Pho. There are plenty of great culinary choices at The Hollywood Brown Derby and the atmosphere is charming. This restaurant also offers the “Dine with an Imagineer” package, which is a unique experience with allows you to chat over lunch with a knowledgeable Disney Imagineer to answer all of your questions and give you an insider’s take on the park. At around $60, we think it’s worth the price. But note that slots fill up quickly, so book your reservations at the 180-day mark if this is something you want to experience. Verdict: As great as the food is at The Hollywood Brown Derby, it should be noted that eating here will cost you 2 Table Service credits (on the Disney Dining Plan). If you have some extra TS credit, or if you want to splurge on a great dining experience, Brown Derby fits the bill. However, if you are trying to get the most out of your plan, we recommend you just go to a regular (1 credit) TS restaurant instead. For inquisitive Disney visitors, we encourage you to book a reservation for the Dine with an Imagineer luncheon. Sci-Fi Dine-In is a restaurant modeled after a 1950’s dine-in movie theatre. The decor is a lot of fun for both kids and adults. Most of the tables are designed to resemble 50’s era automobiles, waitresses roll up to take your order, and there are sci-fi classics on the movie screens. As you would expect from this type of restaurant, the menu has plenty of burgers, fries, and shakes. Other standouts include the Drive-in BBQ Burger, the St. Louis Pork Ribs, and of course, the hot fudge sundaes. Yum! It’s hard not to love this place. Verdict: The food isn’t gourmet, but I don’t think anyone will be disappointed with their order. Plus, the fun atmosphere creates a memorable dining experience. Recommended! It may seem like overkill to have two 50’s themed Table Service restaurants at Hollywood Studios, but they both work together just fine. The 50’s Prime Time Cafe is totally different than the Sci-Fi Dine-In in several ways. First off, you don’t have the drive-in feel here. You still have the 50’s decor but it’s done in a more authentic and less kitschy way. The menu is much more varied and the food is of better quality. You still feel like you have been transported to the 50’s but it’s definitely a different feel. Some of our favorite dishes include Grandma’s Chicken Pot Pie, Cousin Harold’s Vegetable Lasagna, Aunt Liz’s Golden Fried Chicken, and Cousin Megan’s Traditional Meatloaf. That’s some down home cookin’ right there! Verdict: This place is a winner. The food is great, the wait staff is amazing, and the atmosphere transports you back in time. A must for anyone looking for a great Table Service restaurant in Hollywood Studios. Thanks for reading our Best Places to Eat in Hollywood Sudios page! You may also want to check out our Best Places to Eat in Animal Kingdom, Best Places to Eat in Epcot, and Best Places to Eat in Magic Kingdom pages. Enjoy your trip! If you’ve been planning a Disney Trip you’ve probably noticed that there’s a lot that goes into planning the perfect Disney Vacation. We recommend the Disney Travel Agents at The Vacationeer. They’ll use their years of Disney experience to make sure your trip is one to remember. The best part is they’re absolutely free to you. Check them out at thevacationeer.com. Start your Disney Planning TODAY! Click the box below to request a free, no-obligation quote from the Disney Travel experts. The Disney Travel Agents at The Vacationeer can help you plan and book your Disney World, Disneyland, or Disney Cruise Line vacation. Their services will save you time and money….and it won’t cost you a dime! 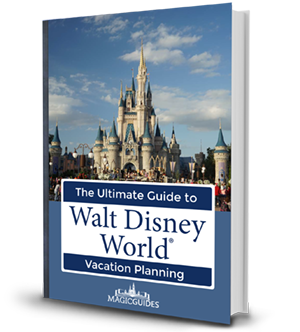 Download our FREE Disney Guide! Enter your name and email address below and we’ll send you a link to download our FREE 46-page Ultimate Guide to Disney Vacation Planning!